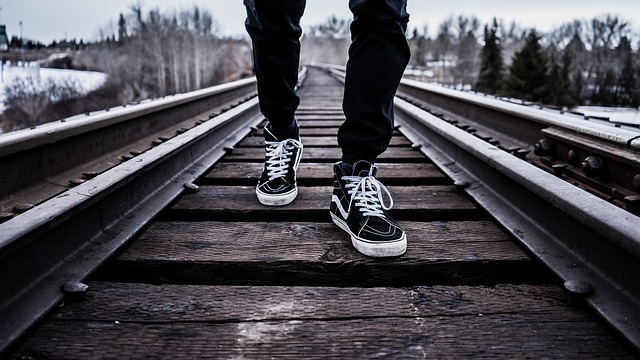 When you are actively walking for extended periods of time, whether for work, exercise, or leisure, it’s important to have a solid pair of walking shoes. Your body absorbs a lot of impact and it’s crucial that you find a supportive and comfortable walking shoe to keep you from feeling stress, pain, and fatigue. There are a lot of brands available on the market today, but when it comes to walking shoes, Asics is one of the best. You know that it’s important to have good walking shoes, but what should be looking for, specifically? First of all, you want to find a comfortable walking shoe that is in your budget. You’ll want a walking shoe that doesn’t pinch or rub anywhere and that contains breathable fabric to wick away moisture and keep your feet dry. Plus, the ideal walking shoe will also have the support and shock absorption your foot needs or have removable foot beds so you can insert your own custom orthotics. Now that you know what to look for in the top Asics walking shoes, it’s time to narrow the search down ever further. With countless options available, it’s difficult to know which ones are the best. That is why we’ve done the research for you and developed a list of the top six Asics walking shoes for 2018. As far as walking shoes go, the Asics Jolt is one of the best available. 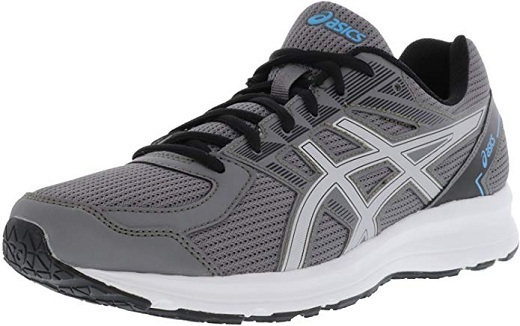 This shoe is extremely affordable and while it isn’t jam packed with the newest technology on the market, the Asics Jolt is a comfortable and durable shoe that is perfect for walking. With a breathable mesh upper that keeps your feet cool and dry and a high abrasion rubber outsole that provides exemplary traction on even slick surfaces, you’ll be hard pressed to find a better option for a walking shoe than the Asics Jolt. In addition to everything listed above, the Asics Jolt also has a springy midsole that is adaptive to your foot. The sock liner is also removable so you can insert your own custom orthotics for an improved fit. Plus, there are multiple color options available for this supportive walking shoe. The shoes are also designed to take a beating, which you don’t often find with cheaper shoes. Simply put, from top to bottom, the Asics Jolt is one of the top walking shoes from Asics. Another great option for the best Asics walking shoes is the Asics GEL-Foundation Walker 3. A step above the precursor model, these shoes are packed with advanced features. You will get to take advantage of the broad based shoe platform that contains DuoMax, and Trusstic technology. These provide advanced arch support and stability to keep your foot stable and comfortable during even the longest walks. There is even a walking beveled heel that enhances your natural stride while still providing great arch support. In addition, the Asics Men’s GEL-Foundation Walker 3 also comes with a soft upper made of synthetic and natural leather materials. This allows maximum support while still allowing breathability for the shoe. The collar is also covered with two layers of memory foam to ensure maximum comfort, while the SpEVA midsole offers the necessary bounce back to eliminate fatigue. If you are looking for a great pair of men’s walking shoes from Asics, the Asics Men’s GEL-Foundation Walker 3 is certainly an option to consider. The ASICS Women’s GEL-Frequency 3 Athletic Shoe is another one of the top Asics walking shoes available. Weighing in at 7 ounces per shoe, these walking shoes also come in a variety of colors and sizes. A mesh upper with synthetic overlays will offer adequate support and the lace-up closure provides a snug and secure fit. The ASICS Women’s GEL-Frequency 3 Athletic Shoe also has a low cut design that allows easy transition through your normal gait. In addition to everything listed above, these shoes are also extremely comfortable. You will have a padded collar and tongue, and the ASICS Women’s GEL-Frequency 3 Athletic Shoe also boasts a soft, textile lining. The sock liner is also removable so you can add your own orthotics for enhanced fit and support. The soles feature high abrasion rubber to offer great traction and the Rear foot GEL cushioning provides the shock absorption you need to eliminate fatigue. 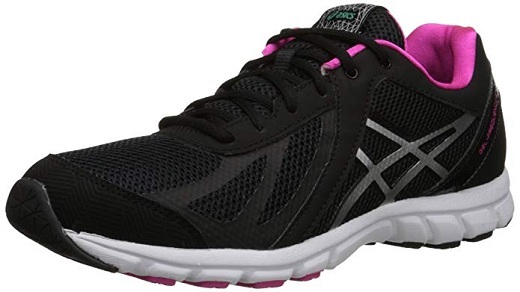 If you are looking for a great pair of Asics walking shoes, the ASICS Women’s GEL-Frequency 3 Athletic Shoe should be on your list to check out! 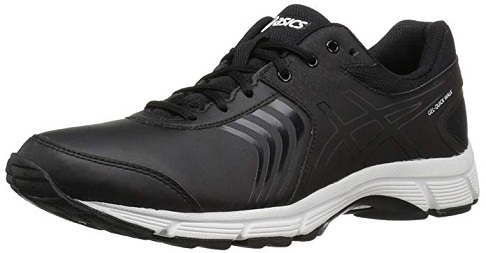 The ASICS Gel-Quickwalk 3 Walking Shoe is another great walking shoe brought forth by Asics. 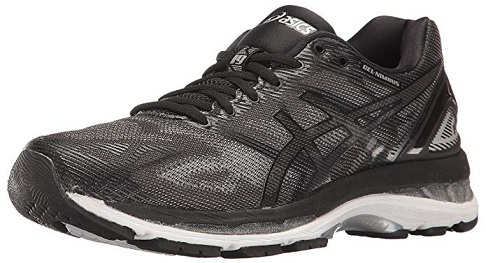 If you are looking for comfortable and affordable walking shoes, the ASICS Gel-Quickwalk 3 Walking Shoe is one to consider because they are designed with rear foot gel technology and CMEVA midsoles. This allows for energy absorption and bounce back that allows you to keep a pep in your step. The breathable mesh upper also features synthetic overlays that are lightweight while still providing adding security for your foot. These walking shoes are breathable, which means your feet will stay comfortable and dry no matter how long you are walking. The ASICS Gel-Quickwalk 3 Walking Shoe also has high abrasion rubber strategically placed for great traction. If you want one of the best Asics walking shoes, the ASICS Gel-Quickwalk 3 Walking Shoe delivers. 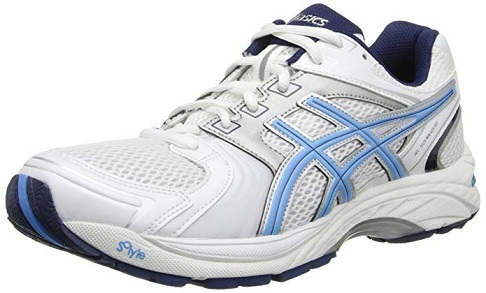 For a stylish pair of Asics walking shoes, the ASICS GEL-Nimbus 19 Running Shoe is a great option. These walking shoes are great for those with high arches and those with neutral pronation, but they are lightweight and have an exemplary cushioning system. The Fluidride midsole has both bounce back and cushioning, while the gel cushioning technology throughout boasts great shock absorption. In addition, the ASICS GEL-Nimbus 19 Running Shoe also have gender-specific cushioning and an ortholite lining that offers comfort and breathability. The sock liner is also ortholite and provides a high level of moisture wicking properties to keep your feet dry. The Guidance Trusstic system also provides assistance keeping your gait normal while offering midfoot structural support that walkers need to remain comfortable. 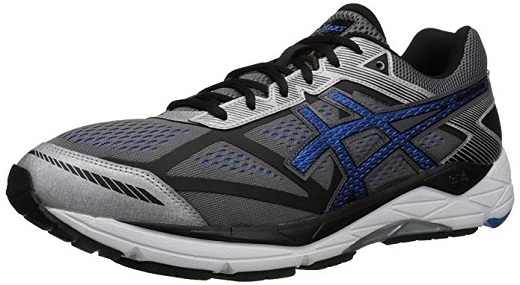 If you are looking for the best pair of Asics walking shoes, the ASICS GEL-Nimbus 17 Running Shoe should definitely be on your short list of shoes to consider purchasing. The ASICS GEL-Tech Neo 4 Walking Shoe is yet another top option when it comes to finding the best Asics walking shoes for 2018. That’s because these walking shoes are packed with all the advanced technology and features you need. The breathable mesh upper is perfect for providing a snug fit while still allowing your feet to stay dry and comfortable, and the ortholite sock liner adds anti-microbial protection as well as enhanced comfort. In addition, the ASICS GEL-Tech Neo 4 Walking Shoe is also extremely comfortable. You have the rear foot and fore foot gel technology cushioning system working in tangent with the Duomax support system to ensure that your foot is supported, cushioned and secured. Plus, the ASICS GEL-Tech Neo 4 Walking Shoe also comes with gender specific cushioning built for what you need. If you are looking for the best pair of Asics walking shoes in 2018, the ASICS GEL-Tech Neo 4 Walking Shoe cannot be overlooked.